Whether you are remodeling or building, or just want to replace a damaged window, look for a company that offers a range of great product and reliable installation. To buy new windows in Louisville, look for a contractor specializing in window design and installation.If your old windows are no longer doing their job, it is time to replace them. Windows perform an important function in your home, serving as insulation as well as doctor. A cracked pane or frame can cause your energy bills to go up due to heat or cool air that becomes lost through the cracks. 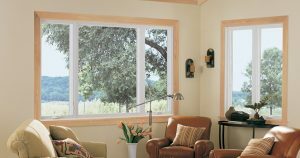 Improperly installed windows can be difficult or impossible to open, resulting in poor ventilation. A cracked frame or pane is also a hazard that can splinter or break every time it is touched, potentially leading to serious injury.For maximum energy conservation, look for a contractor that will customize your new windows to fit exactly into the opening you have, leaving no cracks for air to escape. A qualified window professional will also be able to offer you a variety of the latest technologies to enhance your windows energy efficiency. The latest windows on the market are made with materials that last longer without needing to be painted and maintained, and with glass finished to require minimal cleaning throughout the year.Windows are also an important part of your houses aesthetics. Frame and style can make a huge impact on your homes exterior. You do not have to spend an exorbitant amount of money to significantly raise your home value and add curb appeal just by installing new windows.Changing your windows can bring you several advantages, including raising your houses value and saving you money on energy bills. For an upgrade that is practical and beautiful, new windows in Louisville offer you the best value for your money. 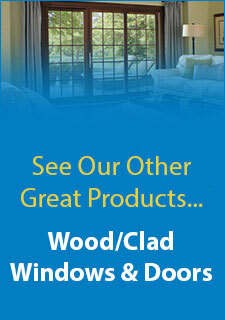 Look for a window company that offers the latest technologies and qualified installers, and get ready to enjoy the view.